Let us help you become a Licensed Insurance Agent! Our Pre-Licensing students gain an accurate understanding of insurance theory and practice along with a thorough knowledge of state laws and rules. Let us help you reach your ultimate goal of obtaining and maintaining your insurance license. The Pre-licensing Course is structured to meet various state prelicensing requirements. Several tools are provided within the course to make your learning straightforward and comprehensive. Learn to excel in the insurance industry with OLT's premier online courses! Our courses are designed to assist individuals interested in entering the insurance profession. 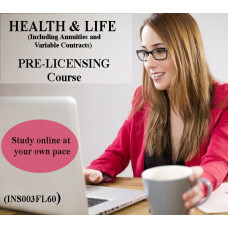 These Pre-licensing courses are State approved and comply with State Education Requirements for Licensure. 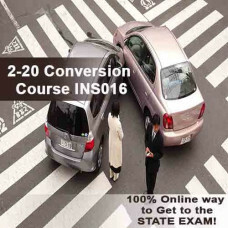 Once the student has successfully completed the course and final examination, his/her name will be sent to the State Department of Insurance, fulfilling the required course prerequisite. 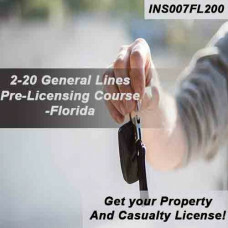 The 4-40, 0-55, or 20-44 to 2-20 Conversion course covers the following topics of instruction: Property and Liability Insurance Concepts	Personal Automobile	Homeowners, Dwelling & Related Coverages	Commercial Automobile	Property	General Liability	&nb.. Topics include: Personal Automobile	Property Insurance	Inland Marine	Homeowners	Dwelling and Related Coverages (view syllabus). 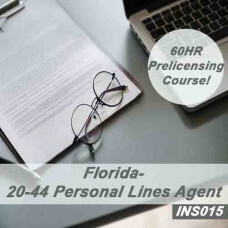 This Florida-approved 20-44 Personal Lines pre-licensing course is offered entirely online including the course final exam. Upon successful completion of..